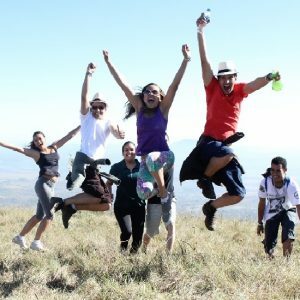 Since 1960 the Brothers CMM are present in the province Minas Gerais in central Brazil. 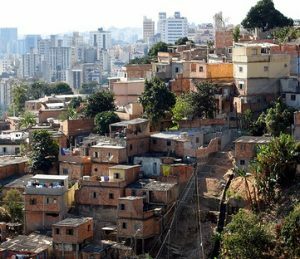 This is one of the regions in Brazil where a great contrast exists between rich and poor. Since 1960 the Brothers CMM are present in the province Minas Gerais in central Brazil. This is one of the regions in Brazil where a great contrast exists between rich and poor. Mining is an important activity in this region. 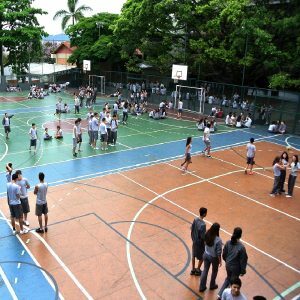 The congregation started with a community in Belo Horizonte and a secondary school, Colégio Padre Eustáquio. Around that school and the community various other activities have developed. The community of brothers in Brazil is very international. Because of the reducing numbers of vocations in the country, there are no Brazilian brothers. The brothers who are now living in Brazil are from the Netherlands, Indonesia and Timor Leste. The brothers from the last mentioned country are there for studies. The language in Brazil is Portuguese, which is also the official language of Timor Leste, since its independence in 2002. The country of Brazil is developing in great strides. But there is also still a large number of poor people. By means of some small projects in the field of instruction and education the congregation is trying to improve a bit the living conditions of the people in our immediate neighbourhood. This is done in cooperation with many laypeople, with several other religious organizations and the much needed support from people in the Netherlands and Belgium. 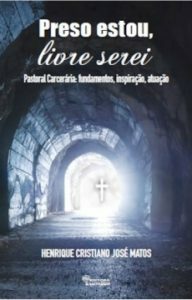 Works of mercy - The three projects of which the brothers in Brazil are in charge represent the three different areas of attention, that is, three different forms of "work of mercy": good education, care for the poor and attention to spiritual development. These projects are all carried out in collaboration with laypeople. In addition to their own projects, the brothers also work as volunteers in other structures, such as pastoral work in prisons, youth work and the local Association of Vincent de Paul. The school in Belo Horizonte, Colégio Padre Eustáquio, was establised 1962 by the brothers. First it was a secondary school and later the opportunities were broadened from day-care to vocational training. 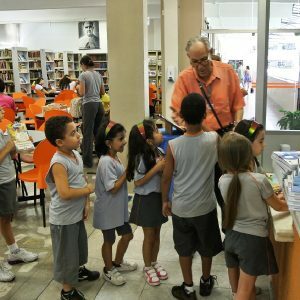 Since a few decades the daily administration the Colégio Padre Eustáquio has been the responsibility of laypeople who are very much in touch with the mission of the congregation. The regional board of the brothers in Brazil is however still the board of the school. Next to the normal education, the school also offers after-school-care and language courses for those with literacy problems. 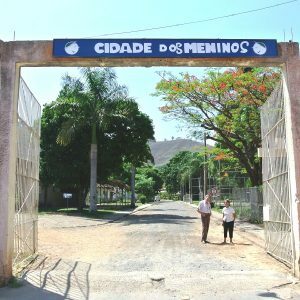 North of Belo Horizonte, in the city of Coronel Fabriciano, the brothers are in charge of a special village for children called, Cidade dos Meninos. Together with others, the brothers offer a home in this village to about thirty street children from 0 to 18 years old. The children live there, receive clothes and meals, go to school and get assistance with their homework. These are children who have no family to live with, or are assigned there by the courts. Without shelter in the children’s village, they would have no place to go. In the children’s village, which is on a large site, courses are also provided for the people from the city, such as sewing, handicrafts and computer skills. There is also a day care center for about 50 children from 0 to 5 years old. 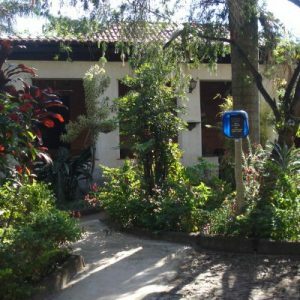 In the mountain region near the city of Belo Horizonte is the conference and retreat center Retiro Vicente de Paulo in Igarapé. The brothers offer hospitality to groups of religious and laypeople who can attend courses and retreats. Anyone who stays for a while is encouraged to have an attitude of simplicity, prayer and receptiveness. On the enclosed grounds there are small houses and chapels everywhere. About sixty people can stay in the center. In November 2009 a group started to visit prisoners weekly in São Joaquim de Bicas. Over the years, the prison work has developed promisingly, especially after the creation of a special service center in 2011, the Apoio à Pastoral Carcerária (APC). The APC was funded by the congregation and one of the brothers is actively employed in the prison ministry. In 2009, a youth group called “Grupo Vocational Misericórdia” (a vocational group around mercy), was formed. In regional gatherings, youths from Janaúba, Coronel Fabriciano, São Joaquim de Bicas and Belo Horizonte gather together for reflection and discussion around the central question: “What is the calling in your life?” In addition, meetings are organized at the central level. From this group also the participants of the World Youth Days of the International Youth Movement are selected. They are the Ambassadors of a Worldwide Brotherhood.